The CA community’s investment in the school’s residential houses is already making a significant difference in advancing CA’s mission. 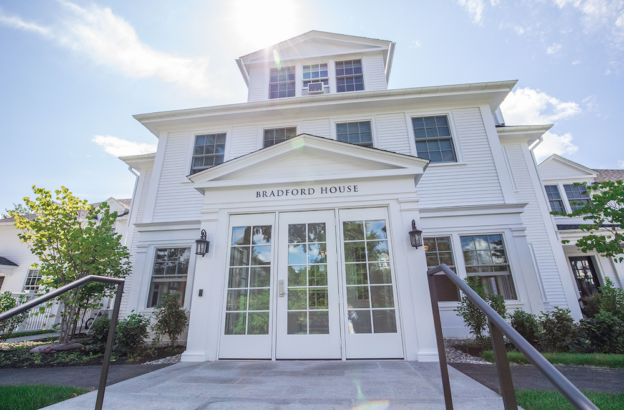 An expansion of Bradford House added space for students and adults alike. A welcoming entrance facing the quad contains a large, airy, multi-use common room with an accessible entrance. 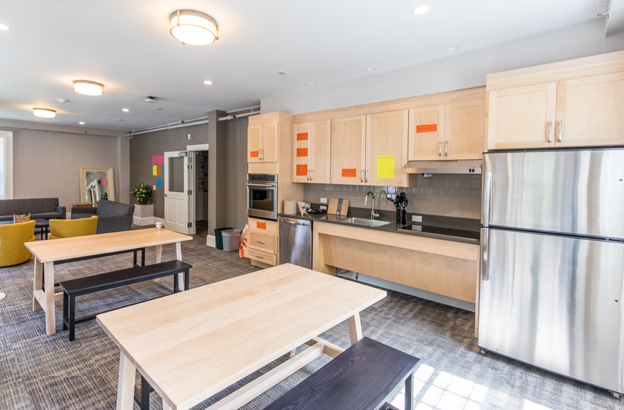 The common room is beautifully designed, includes a communal table, individual seating, a large TV, as well as a well-appointed kitchen that will be used for, among other things, the Science of Cooking class. On any given night, students can be found cooking an evening snack on the induction range, engaged in deep conversation, or bonding over a board game or a movie. Within the existing structure, student rooms were redistributed to optimize living spaces for all who live on campus. The expansion also made possible the addition of larger faculty apartments for teachers and their families, addressing a critical need to retain the dedicated faculty who make so much of the CA experience possible. The largest single initiative of the Centennial Campaign for Concord Academy to date, the CA Houses project was made possible entirely by philanthropy. The community of CA alumnae/i, parents, friends, and relatives contributed $12 million for the construction and another $1 million toward an endowment to maintain the houses. CA Houses is part of a continuum of Centennial Campaign investments in the campus and its people. This is a milestone along a course charted years ago, a critical step toward bolstering Concord Academy’s core strengths and values as the school approaches its centennial in 2022. Enhancing the houses in which students live and learn has laid a new foundation for building upon the strengths of CA’s distinctive residential life program. CA’s Colonial-era student houses have long anchored this community. The hominess and uniqueness of each house reflect the school’s attention to the individual, its human scale; they orient students in positive, enduring relationships and integrate CA into the historic town of Concord, Mass. By bringing together students from hometowns across the United States and the world, and from myriad walks of life, to learn from one another in authentic, informal, mutually beneficial interactions, residential life at CA is central to fulfilling the school’s mission to engage its students in a community animated by a love of learning, enriched by a diversity of backgrounds and perspectives, and guided by a covenant of common trust. These building projects are, at their core, investments in CA’s people — the students and faculty who make this school a thriving living and learning community. Adding a new common room in Bradford and increasing the number of student beds from 18 to 24 allowed for student rooms in Wheeler, Admadjaja, and Phelps to be reconfigured for better livability and the common rooms in those three houses to be greatly expanded. Now all four common rooms are large enough to comfortably hold house gatherings. 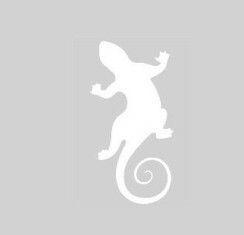 Zimmerli also anticipates that the common rooms will be used, as appropriate, for programming during the day. Indeed, science teacher Susan Flink has already been holding her Chemistry of Cooking class weekly in the common room kitchen in Bradford. On October 4, the new Bradford common room will be dedicated in honor of an extraordinary Concord Academy teacher, Sylvia Mendenhall, whose caring, wit, and more than 30 years of dedication to this school, as an English teacher and continuing as a tutor following her retirement, left an indelible impression on everyone who knew her. Before she passed away in 2016, Mendenhall joined other longtime teachers in including CA in her estate plans, making a bequest of her private home in Chelmsford, Mass., the sale of which provided funds to make the Bradford common room possible. 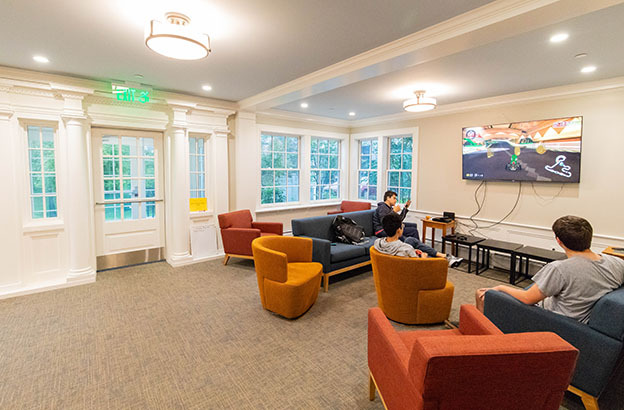 In Phelps, the Stone Soup Common Room was named, at the request of the donors who enabled its renovation, by the students on the Boarding Council. The name refers to the “stone soup” folktale — a pot with water and a stone becomes a rich soup, thanks to the contributions of many — to emphasize the values of inclusivity, community, and resourcefulness. At CA, it is readily apparent, now more than ever, how many contributions coming together make a better whole.